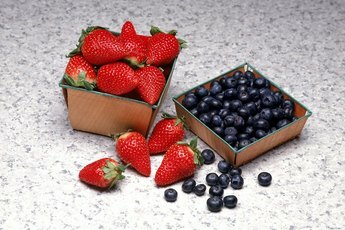 Many berries are high-fiber fruits. When you bite into a juicy raspberry, not everything you swallow will be digested. That's OK because raspberries and many other fruits contain roughage, or fiber. This indigestible part of your food helps lower your blood sugar levels and keeps you feeling fuller longer. By regularly munching high-fiber fruits and drinking plenty of water, you can maintain a healthier digestive system. 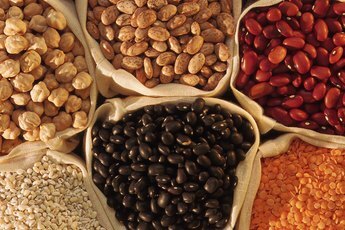 Adult women need about 25 grams of fiber a day, according to the Colorado State University Extension. You can find out how much fiber a fruit supplies per serving by reading nutrition labels. Grocery stores often include nutrition facts labeling near fresh produce as well. Only plant-based foods contain fibrous substances, such as the pectins, gum and cellulose commonly found in fruits. Fruits are a source of soluble fiber, which is the roughage type that absorbs water and slows down how fast food moves through your intestines. This may help to lower your cholesterol and blood sugar levels. 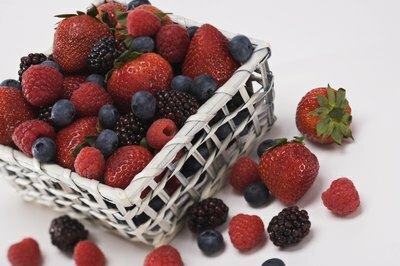 Berries top the list of fiber-rich fruits, notes "Today's Dietitian" magazine. Berries typically have small seeds that up the ante in terms of fiber content. 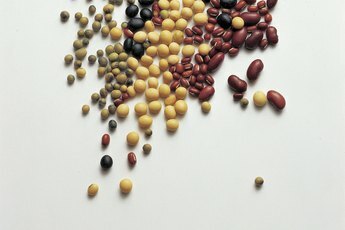 High-fiber foods have more than 5 grams of fiber per serving. One cup of raw elderberries, for example, provides 10 grams of fiber. The same serving size of raw raspberries or blackberries provides 8 grams of fiber, while raw boysenberries have 7 grams of fiber. Strawberries are lower on the fibrous fruits list, having about 3 grams of fiber per cup. Ready to take a walk on the wild side? Try a new fruit and fill up on fiber at the same time. One cup of raw guava provides about 9 grams of fiber while a cup of raw starfruit has 4 grams, notes the Colorado State University Extension. One raw Asian pear has about 4 grams of fiber and one raw persimmon has 6 grams. If you don't like berries and your grocer stocks plain-Jane produce, you can still get plenty of fruit roughage. One pear with skin has 8 grams of fiber, an apple with skin gives you 4.4 fiber grams and a cup of raisins has 5.4 grams. One-half cup of dried prunes provides 6 grams of fiber per serving. 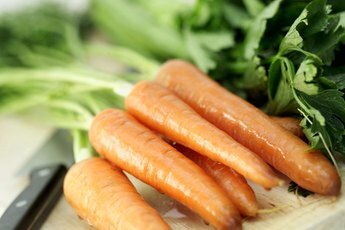 Are Carrots a Fruit or Vegetable?